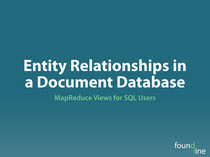 Here are the video and the slides from my Domain-Driven Design talk at ZendCon 2012. 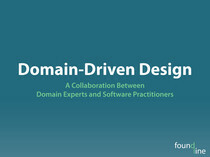 If you’re interested in learning more about this topic then I’d recommend reading the original book on the topic of Domain-Driven Design by Eric Evans. Eric also runs a training company called Domain Language which offers training on Domain-Driven Design. I had the privilege of attending his four day hands-on immersion class which I would highly recommend for anyone who wants to take a deep dive into Domain-Driven Design. This entry was written by Bradley Holt, posted on November 18, 2012 at 6:33 pm, filed under Uncategorized and tagged Domain-Driven Design, PHP, Software Design, ZendCon, ZendCon12. Bookmark the permalink. Both comments and trackbacks are currently closed.